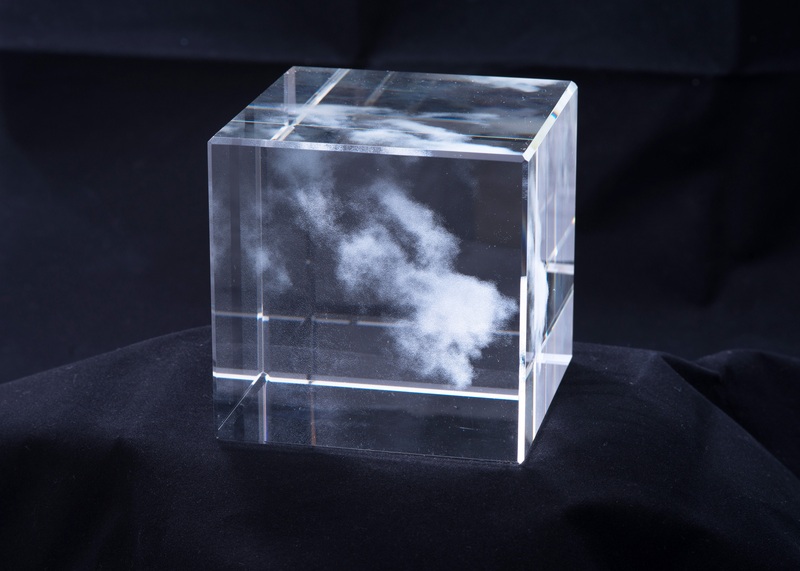 The Kumo (Cloud) cube is a sculpture inspired by a visit to the Glass House designed by architect Philip Johnson. As I was walking the grounds, I imagined what his house would look like if it were isolated, contained in a cloud. I then photographed the sky above the Glass House, hoping to capture that moment. Clouds are constantly changing and have fascinated me for their ability to communicate impermanence. I see clouds as a metaphor for the idea that all things in life are transitory. Glass was an appropriate material for this sculpture in that glass itself is in an amorphous state, existing in a state between a liquid and a solid.